All spa covers are made using only top quality materials on state of the art equipment. 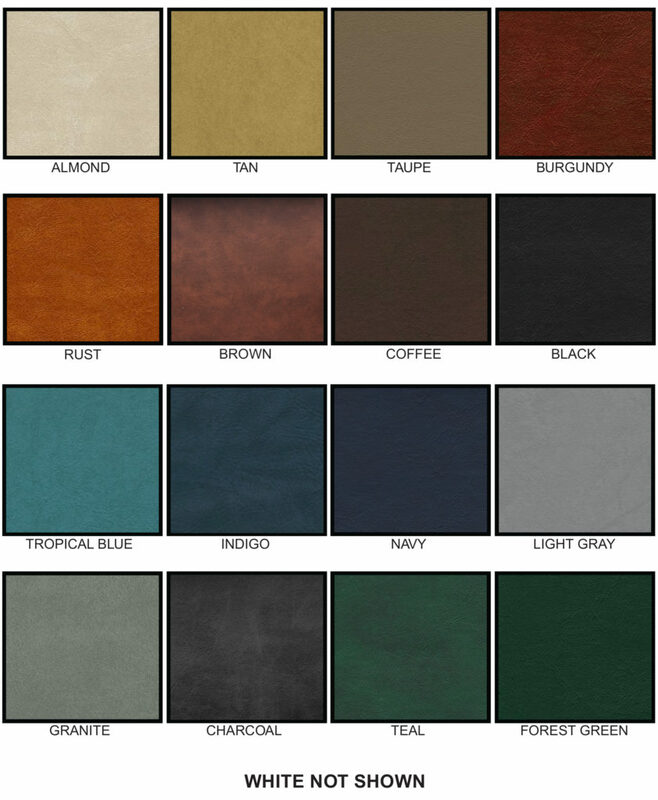 There are 18 bold colors to chose from making your choice easy. All coves use a 28oz marine grade vinyl which features mildew inhibitors and UV stabilized coloring to help prevent fading. All covers are supported by a 5 year warranty and meet or exceed all ASTM safety standards. Safely and Easily remove your spa cover with an "Ez-lifter" by Dimension One Spas. Save your back and extend the life of your spa cover with an Ez-lifter.